Drum beating monkeys is what this duo is all about. Built of brass to mean fun and look outstanding anywhere and everywhere. 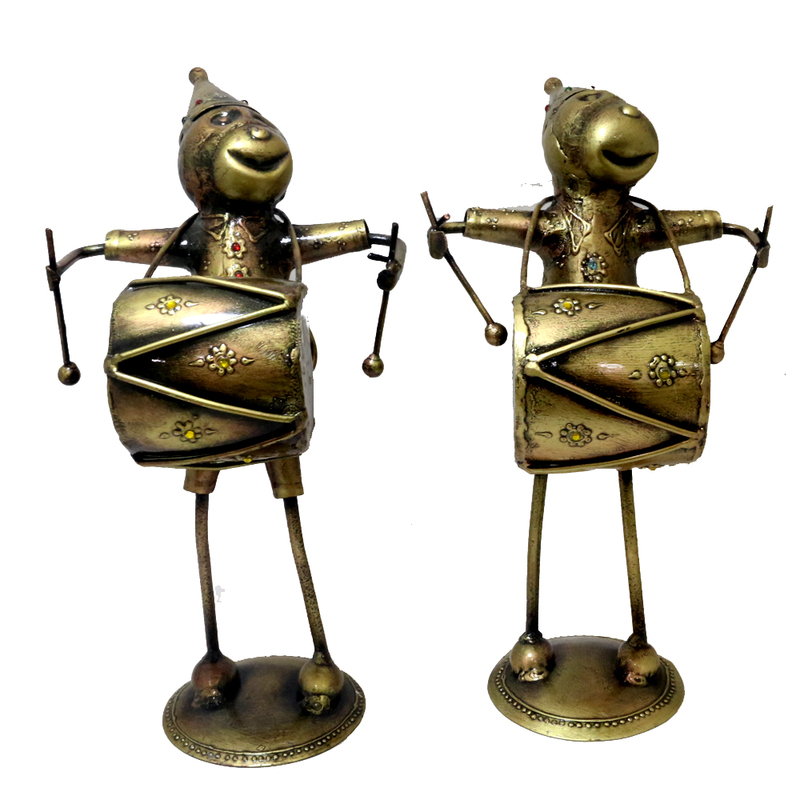 A mix of fun and elegancy is what this set of musician monkey themed showpieces stand for. 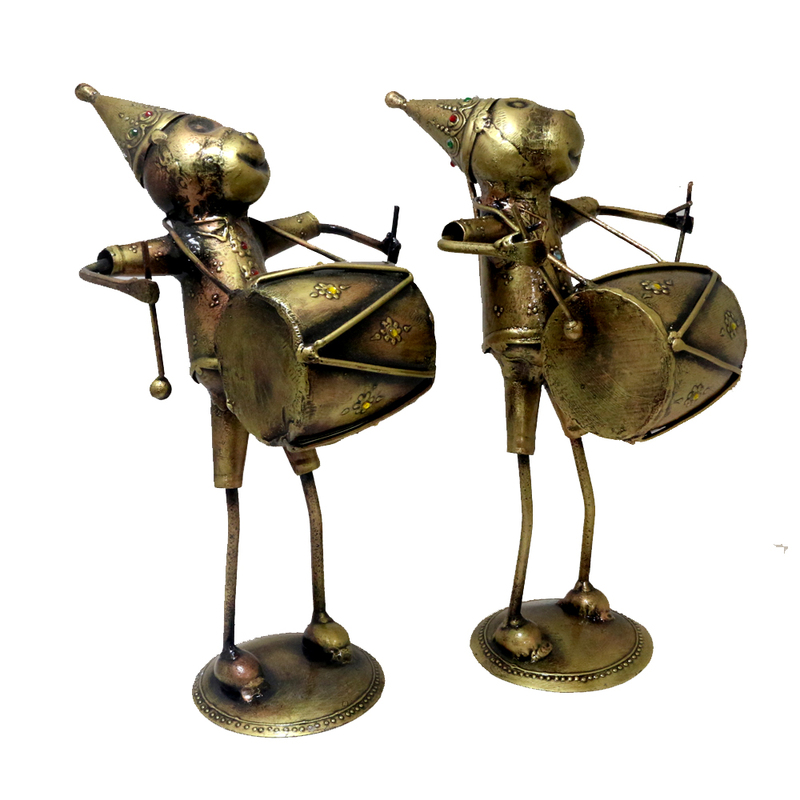 With a brass coloured hue and sturdy framework Read More..this set definitely draws attention to the details incorporated in making them. Show Less..